As I mentioned in a recent post, my urge to find a few new scents to wear each season is so real. I’m definitely not the type that only wears one fragrance and has a ‘signature scent’…I like to change things up and get bored wearing the same thing over & over again! Just as I see getting dressed to be a reflection of my current mood, same goes for my perfume choice. When I’m getting ready I like to have a handful of options to choose from, that all fit my personality but can also be a further extension of my outfit, the look I’m going for, or the occasion I’m getting ready for. This is why I’m so excited to be partnering up with one of my favorite beauty retailers Sephora, literally the best place to find unique fragrances that all of your best friends aren’t already wearing too! The newest scent I’ve added to my Spring/Summer bunch is CLEAN RESERVE Citron Fig. It reminds me of warm summer days I spent in Malibu my freshman year of college….drinking fresh squeezed juice, on the beach, with my toes in the sand! I’m actually not a fan of figs (to eat) and wouldn’t say I typically go for a citrus scent, but when I smelled this one it got me with the earthy & woody undertones that I always love so much. I told you guys in the Winter I like more of a masculine scent and with this I feel like you get a little bit of that, but with a very fresh and clean finish! 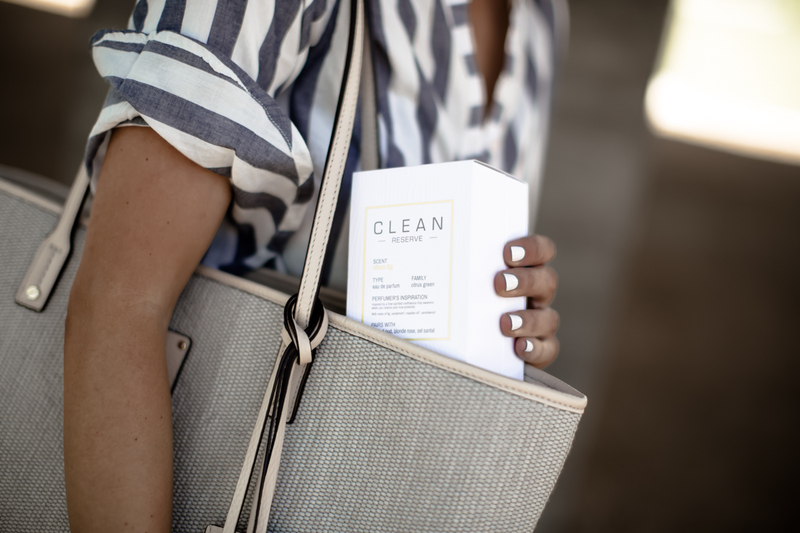 The coolest part about this new CLEAN line is that they source pure ingredients responsibly & sustainably while still creating a high quality scent. I used to think that was just a marketing pitch until I did a lot of research on this while working for an apparel company and sourcing textiles. Now that I know the difficulty that goes into manufacturing a sustainable product without losing quality, I have mad respect for brands that do this and always want to support them! *this post is brought to you in collaboration with Sephora. All thoughts and opinions remain my own.